Sturdy and fun loving, the Soft Coated Wheaten is a friend to one and all! He’s relatively easygoing for a terrier, needs a moderate amount of exercise, and makes a great family dog! 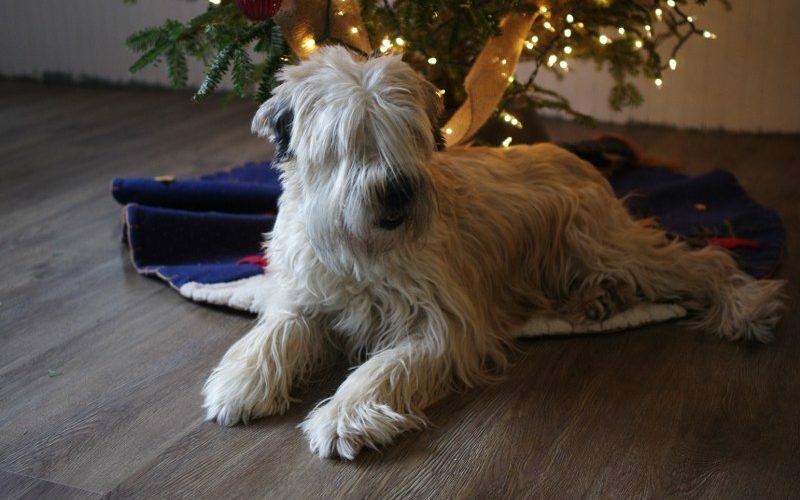 The Wheaten is distinguished from other terriers by his soft, silky coat and merry disposition. The mature Wheaten should exhibit a gently waving hair texture with color varying from pale beige to shimmering gold. 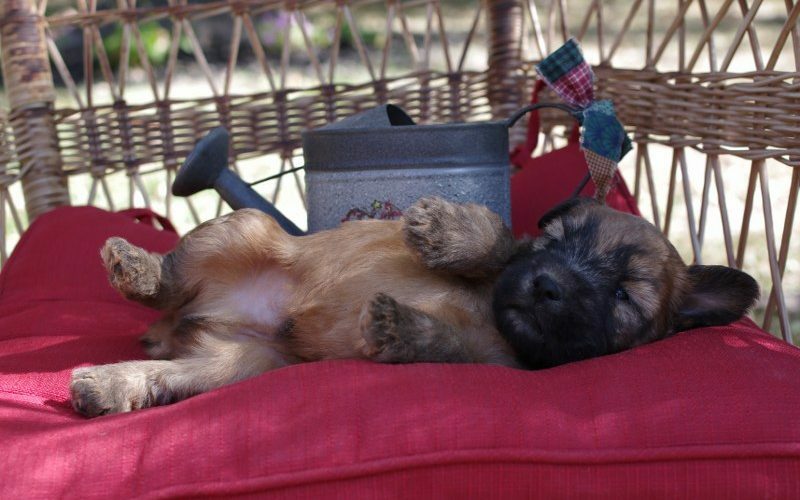 In disposition, Wheatens are steady and fun-loving and they are less hyper and noisy than most other terriers. They are not big barkers and generally only make noise when someone comes to the door. Wheatens are adaptable to both country and city environments and relate well with children. They love people and get excited anytime anyone walks through the door! 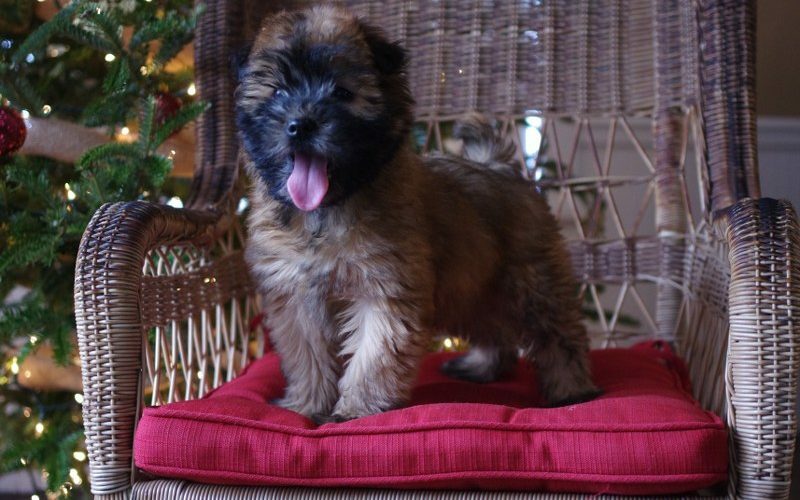 Soft Coated Wheaten Terriers are lively, inquisitive, exuberant dogs who jump and kiss to express their love of people. They need regular combing with a steel toothed comb to maintain the lovely coat in a shining, clean, and mat-free condition. 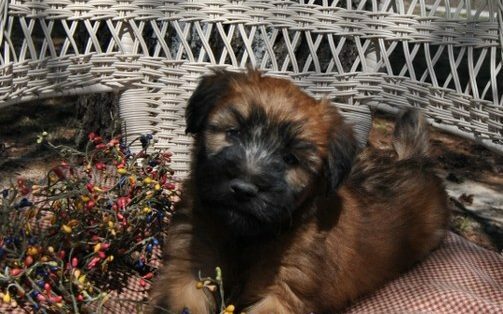 Since they are such a “people-dog” Wheaten puppies must be carefully home-raised and socialized and need gentle but firm and consistent training. 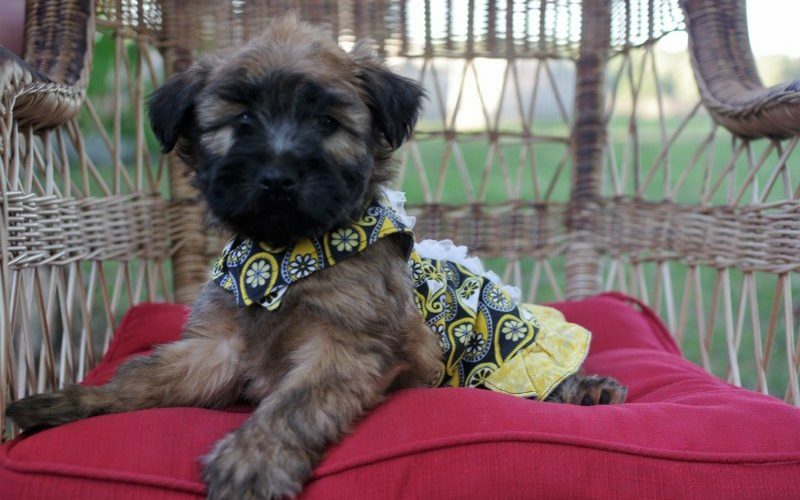 The Wheaten Terrier is a house dog whose marvelous personality and temperament flourish in a good home environment! They are a medium size dog ranging from 18-19 inches (male), 17-18 inches (female) and 35-40 pounds (male), 30-35 pounds (female). Their life expectancy is an average of 12 to 14 years but we have still our very first Wheaten who is now 15 years old! 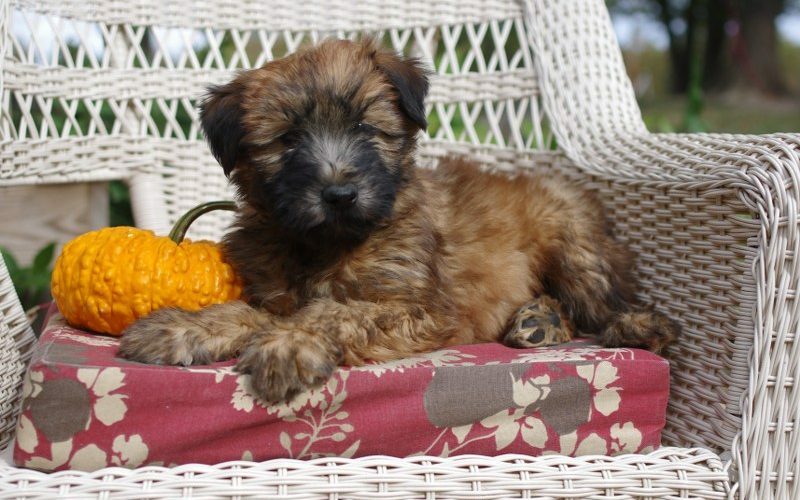 Wheaten Terriers are completely non shedding and hypo-allergenic. We have had numerous customers with allergies that come to see the dogs and puppies and do not react to them at all. 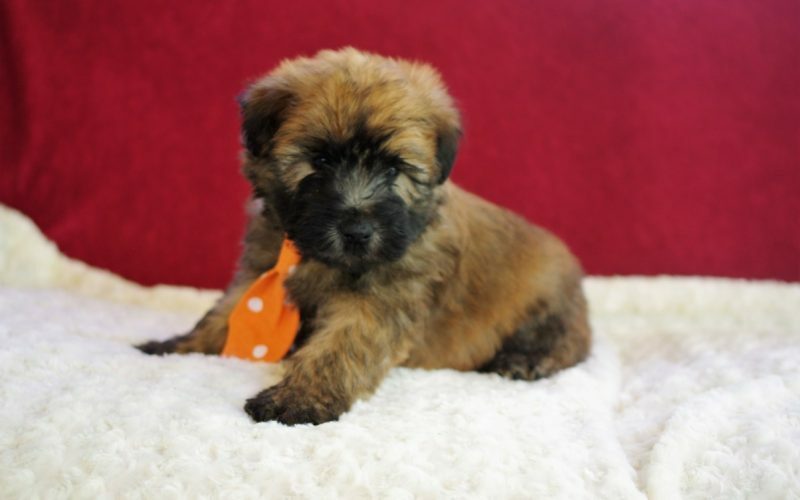 A Soft Coated Wheaten Terrier puppy should not be an impulse purchase. Buying a Wheaten is a commitment for the life of a dog which may live 12 years or more. Do your best to shop carefully and make sure that you are getting a quality pet who has been bred and raised to insure a healthy body and a happy personality. Take time to discuss the characteristics of the Soft Coated Wheaten Terrier, we are here to help you with any questions you may have!